We accept reservations for all groups and sizes and for any occasion. 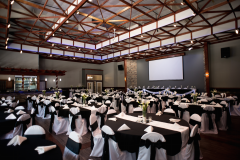 We can host your wedding reception, ceremony, cocktail party, reunion, family party, holiday party, business meeting, luncheon, training seminar…whatever you need! Contact us for availability in 2019 and 2020. Dates are limited and filling up fast, especially Saturdays. Contact a Celebrations Event Planner Today! For more information, including rates or to setup a tour call (608) 783-3335, email us or submit your inquiry online. *Restrictions apply. Limited to domestic beer. No cash value. Limit 3 barrels.Valid ID required.